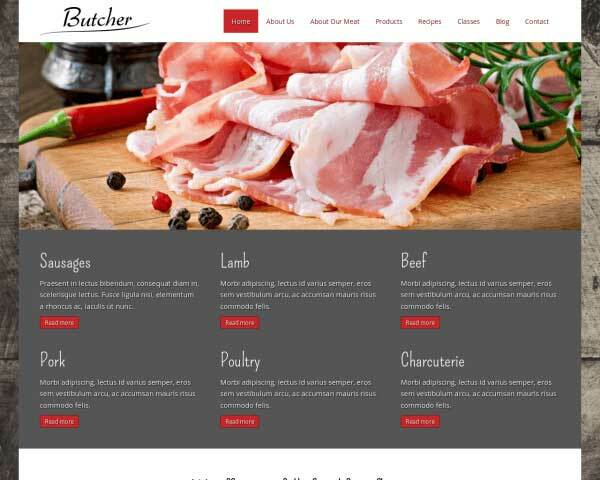 The Butcher WordPress theme offers the most practical website solution for your butcher shop. A simple one-click installation makes the Butcher WP theme as easy to set up as it is to maintain. Simply add your meat products, recipes and class times and you're all set! As a butcher, there are so many operational items on your daily to-do list that it's difficult to focus on long-term marketing goals. Like building your butchery website, for example. Fortunately, thanks to the Butcher WordPress theme, you're no longer forced to choose between running your butchery or marketing it - you can do both! That's because the easy to use butcher wp template requires no coding and can be up and running in no time. 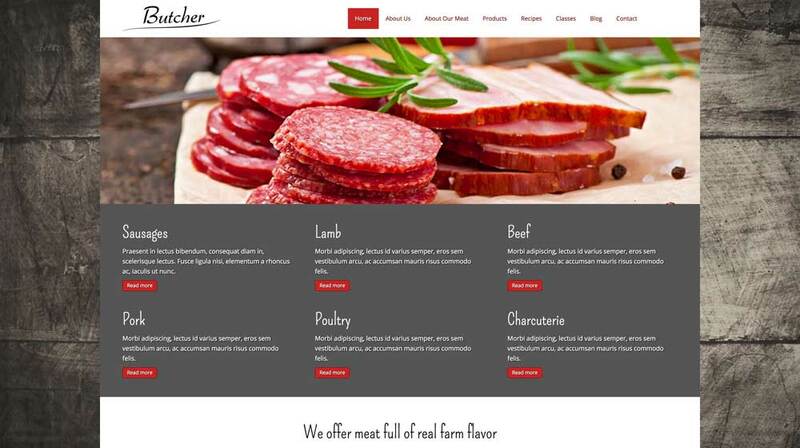 The template also allows you to showcase your meats, share recipes, offer classes and more...So if your meat shop needs a website, the Butcher WordPress theme is your answer! Take a look at the demo to learn more or take the theme for a test drive with our 30-day money back guarantee! Besides space for your contact details, an integrated Google map and route planner, the Butcher WordPress Theme's Contact page includes a form that can be easily customized to suit your needs. Before we began designing the Butcher WordPress Theme, we went to butchers to learn which features they'd like to see in a theme for this industry. Every business website needs clear contact information. The Butcher WordPress Theme's contact page includes a Google map, route planner and customizable contact form. 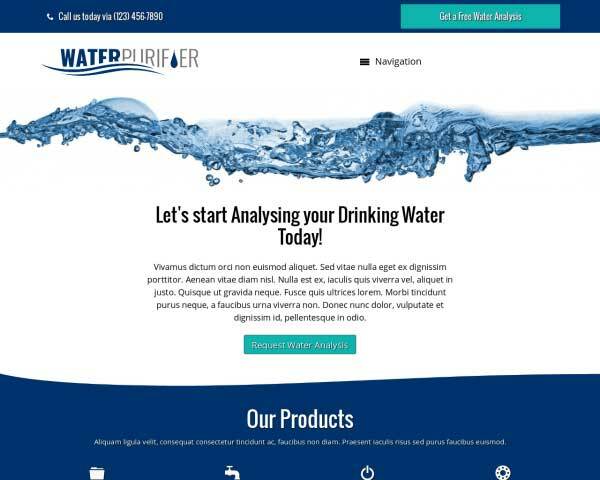 Each detail page, like the one describing your various services, is also uncluttered and optimized to convey information alongside a smartly structured sidebar. On the Services Overview area of this WordPress theme, visitors can see an intro to your services in one glance and conveniently navigate to pages with more info. 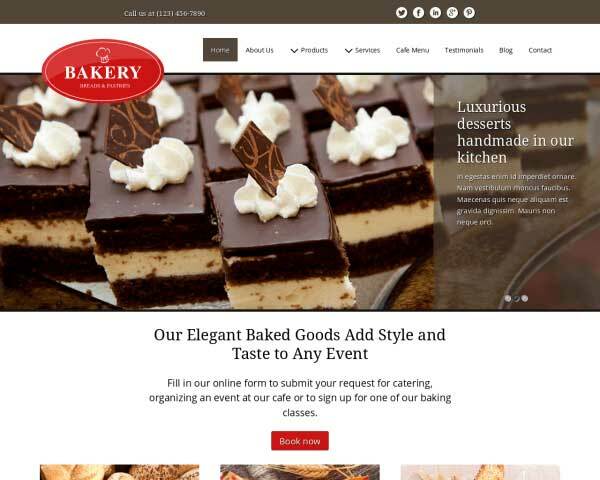 We've set up the Butcher WordPress Theme with pages for details about each of your services and business solutions to help get your website online fast. The Butcher WordPress Theme comes with an easy to use recipe template to help build your shop's trust. Just add recipe text for instant authority! With the Butcher WordPress Theme, you can offer visitors a neat, appealing presentation of your rates and services just by replacing the text and prices on the built-in charts. 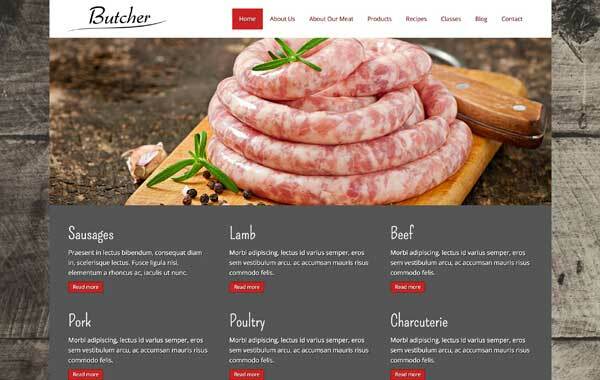 The Butcher WordPress Theme comes pre-populated with service pages designed to suit the needs of butchers. Simply replace the default content and that's it! 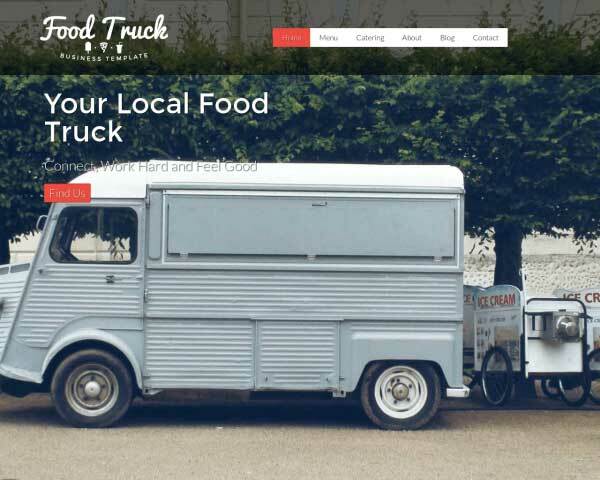 Take advantage of the social media options included with the Butcher WordPress Theme to get the word out about your butcher shop and attract new visitors online. It's official, according to the Online Publishers Association, mobile browsing now exceeds desktop browsing. 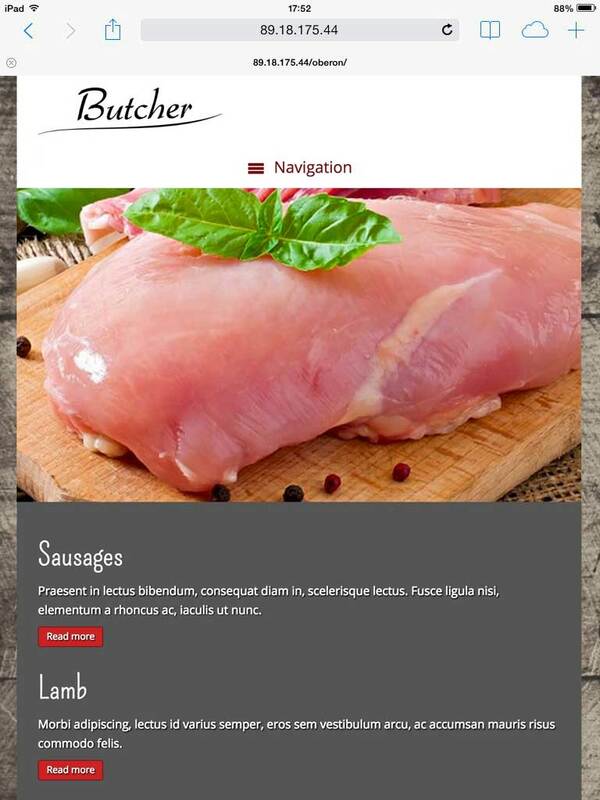 So just think of all the customers that your butcher shop could miss out on by not having a mobile friendly website. 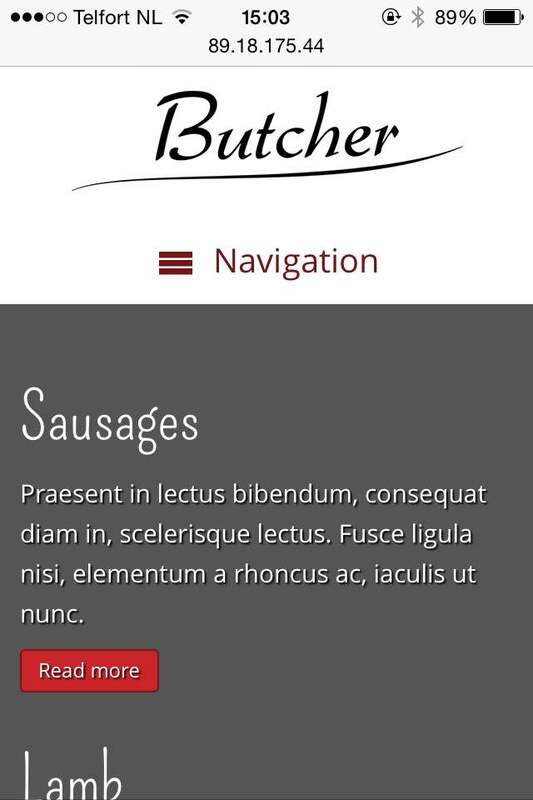 Fortunately, the Butcher WordPress theme makes it easier than ever to reach customers on their mobile devices. 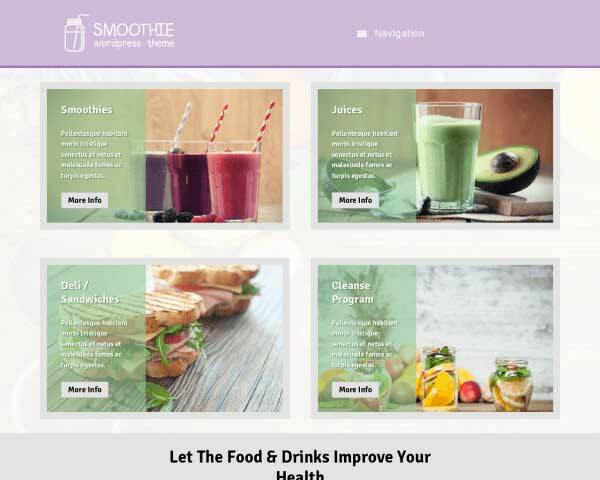 Since the theme is responsive to devices of all sizes, images, text and menus automatically adjust to your customers’ screens. This way you never have to miss out on meat orders from mobile visitors. There's even a tap to call button that your customers can use to place an order!